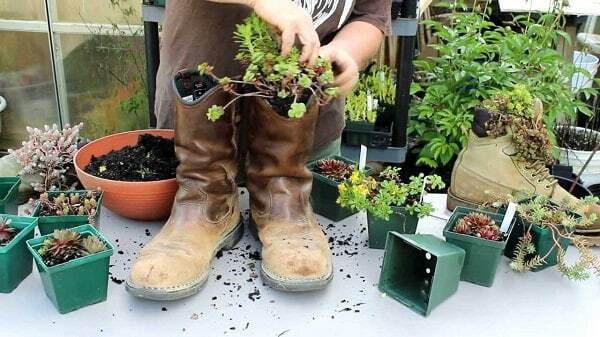 Home Best and Top of Gardening 37 Most Beautiful Succulent Container Garden DIYs With Tutorials! 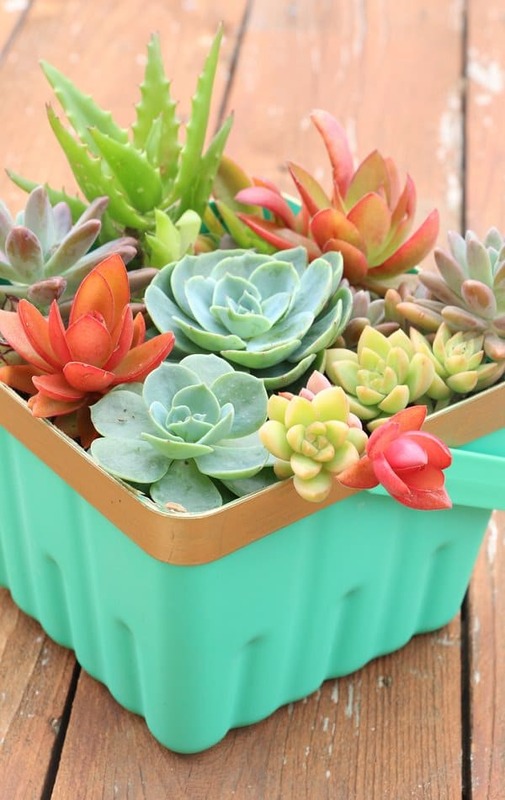 37 Most Beautiful Succulent Container Garden DIYs With Tutorials! 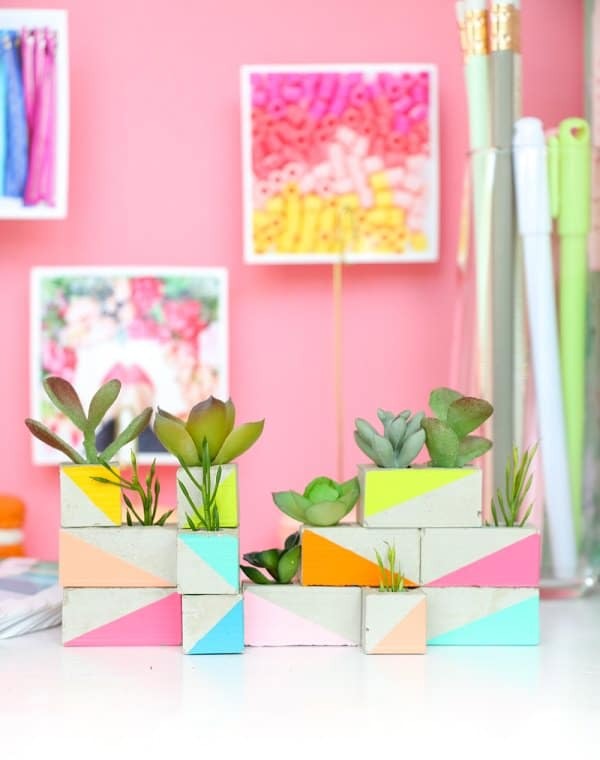 Be creative with the colorful succulents when arranging them, learn these 37 DIY Succulent Container Garden Ideas! 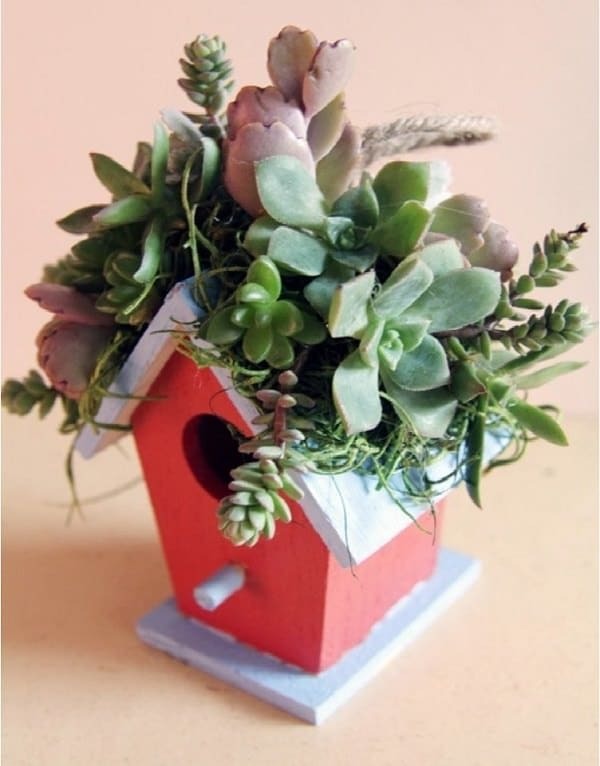 This birdhouse brimming with an assortment of different succulents’ cuttings can be your next idea to get an amazing look at the main door. The DIY tutorial is here! 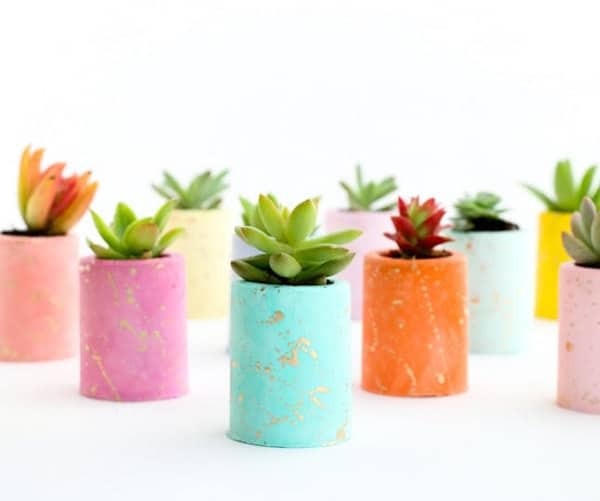 Let your creativity run wild with a good splatter paint session on basic succulent planters. Once planted, your succulents will look good like never before. The more of it is here! Add creative flair to an outdoor table with these refurbished succulent planters that embody the striking combo of plain wood and gold foil. Check out more here! 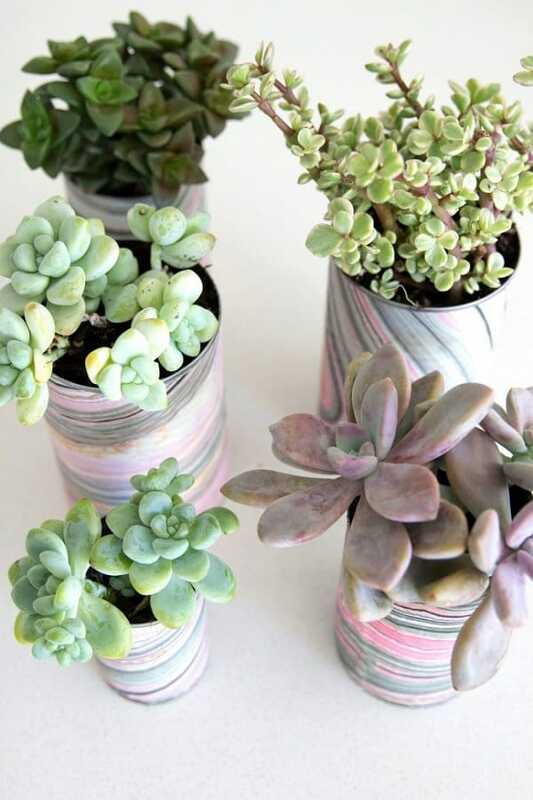 This DIY shows you how to convert boring old tin cans into cute and exciting little planters for to create a small succulent garden. Style up basic Ikea boxes by adding colorful stripes and even polka dots for an effortlessly chic look. Paint a set of boxes in pastel shades and place them in your patio where they can brighten up the entrance with their brilliant display. The more of it is here! 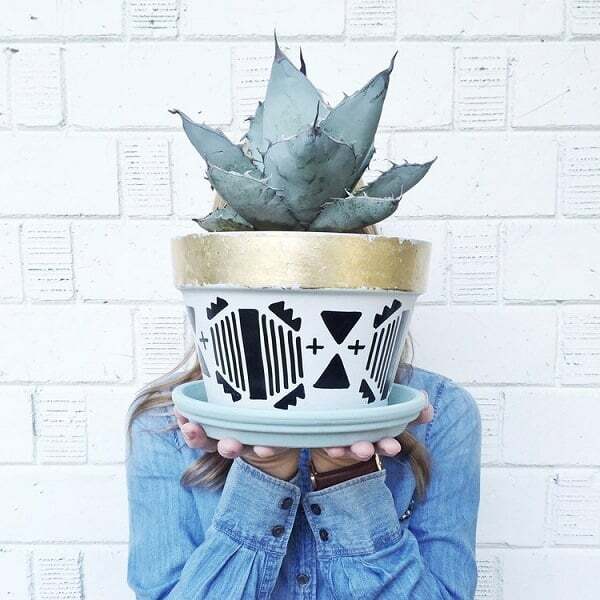 These Aztec-inspired succulent pots get full points for their perfectly imperfect prints and recycle value. And yes, you will become an expert at using gold leaf once this DIY project is done! 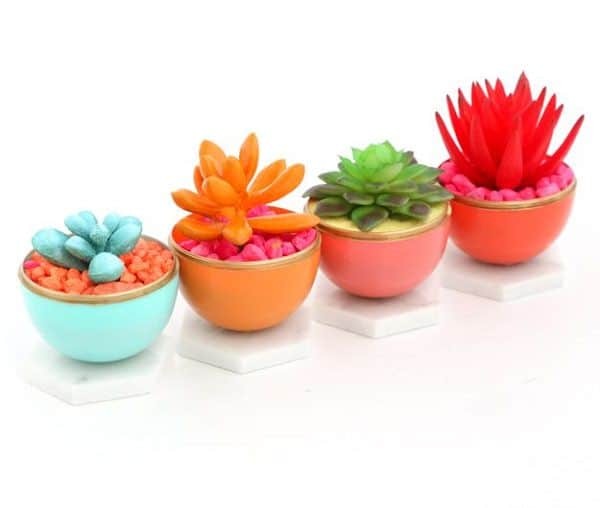 This succulent dish garden is a must for anyone who wishes to flaunt their love for succulents. It looks good on the window sills and a perfect table-top decor item. See the tutorial here! This succulent pumpkin combines two elements that never go out of style- pumpkins, which is the prime autumn icon, and succulents, which are officially the most stylish plants to plant these days. The step by step project is here! 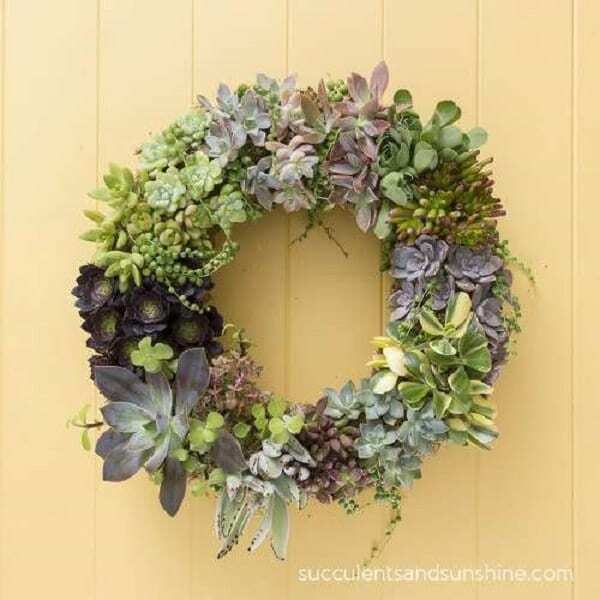 This DIY shows you how to transform an unimpressive berry basket into a beautiful succulent garden with little effort. The tutorial is here! 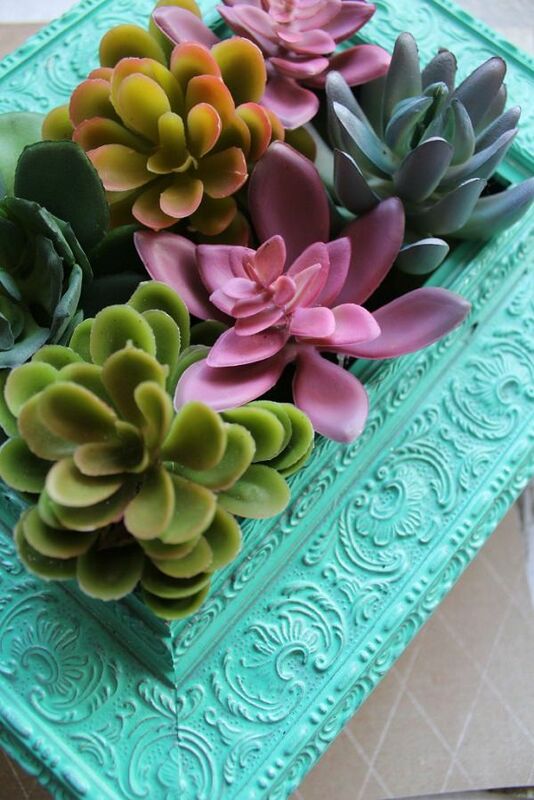 Pastel colors, crafting elements and interesting (faux) succulents all add up to perfection, as shown in this DIY here. If you are a tea aficionado with an ever-growing collection of tea tins, then this DIY has your name written all over it! Just a pro tip: Don’t forget to make a hole in the bottom to allow some drainage, if you are planning on watering the plants sometimes, as opposed to simply misting them. The detailed post is available here! 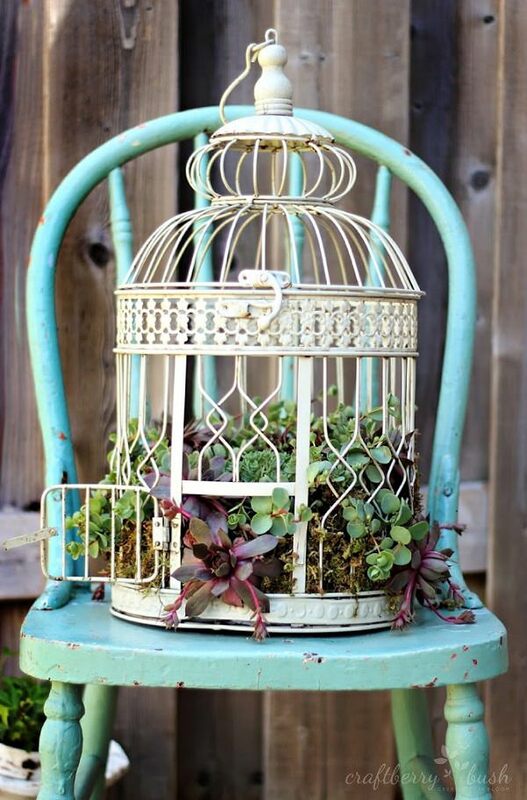 Give a worn-out birdcage a new life as the home of your favorite succulents. For a snazzier touch, paint the cage in gaudy colors that match the plants. You can see the tutorial here! 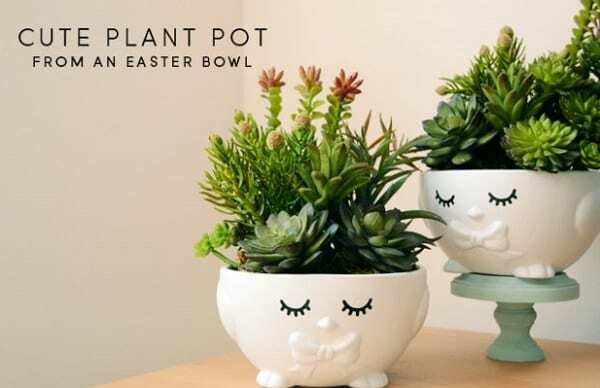 These cute sleepy bowls are the revamped versions of the old Easter bowls. 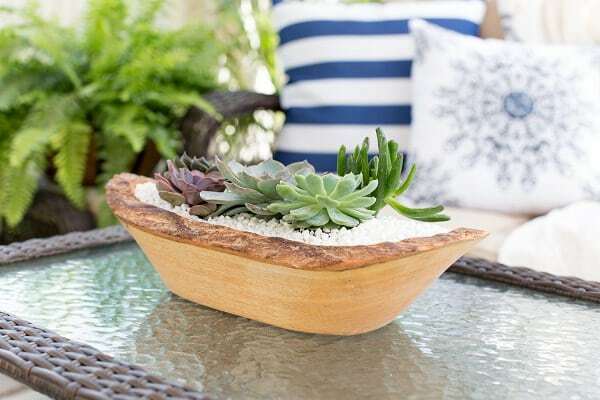 If you have a few bowls that could use some makeover, do slather on some spray paint and fill them up with some pebbles to go with your succulents. Learn more here! 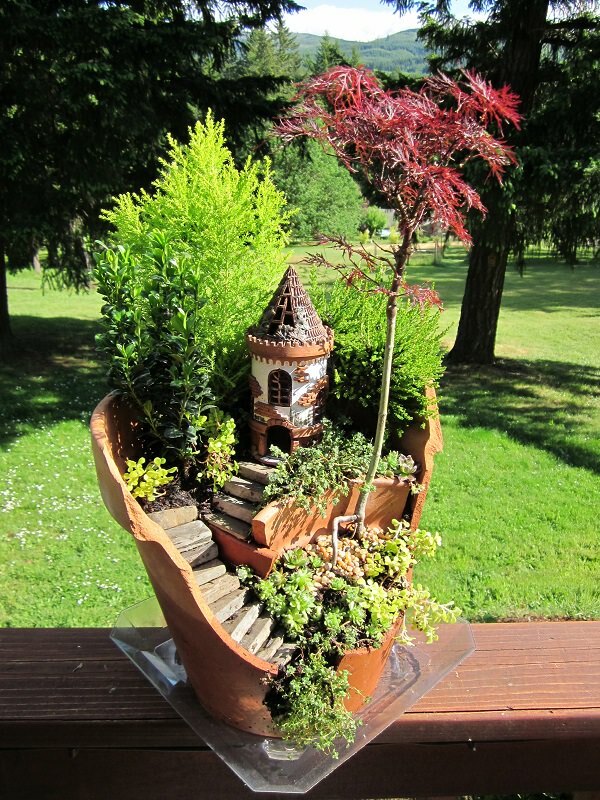 There is something about this container garden that’s so impressive. While the wooden tray itself looks quite simple, the decorative white stones convert this mini-garden into a trendy centerpiece display. If you really want to amplify those summer vibes, just swap out the pebbles for sand. Click here to see the more of it! 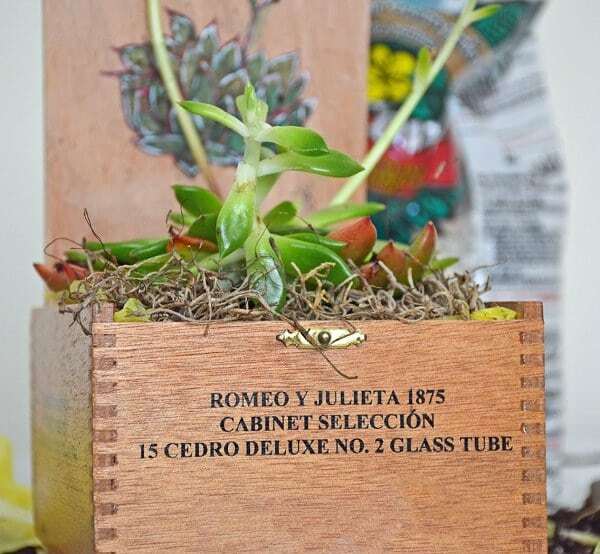 Who knew cigar boxes could act as planters too! 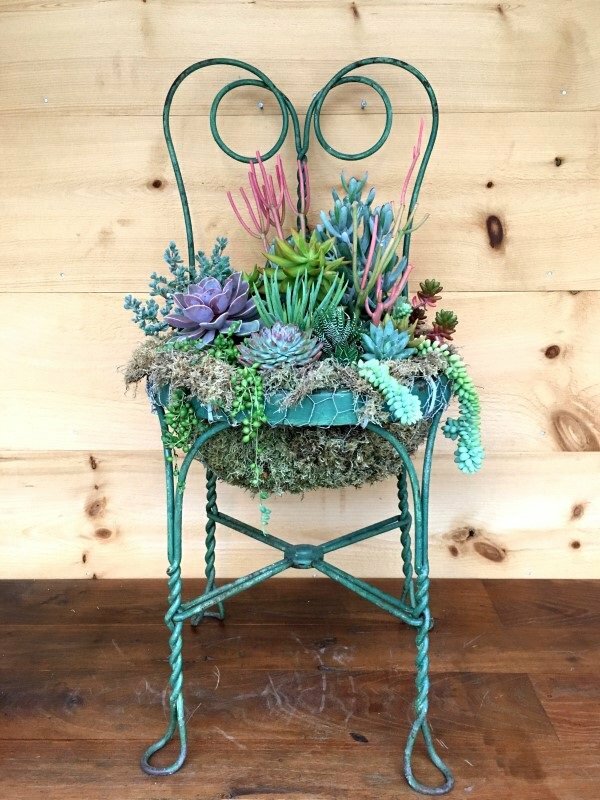 If you think about it, their rustic look and compact size make them perfect for holding potting soil and a set of succulents. If you don’t feel making the hole for drainage at the bottom, just line it with plastic before adding the soil. This way the liner will prevent the box from coming in contact with the moisture in the bottom. See more here! 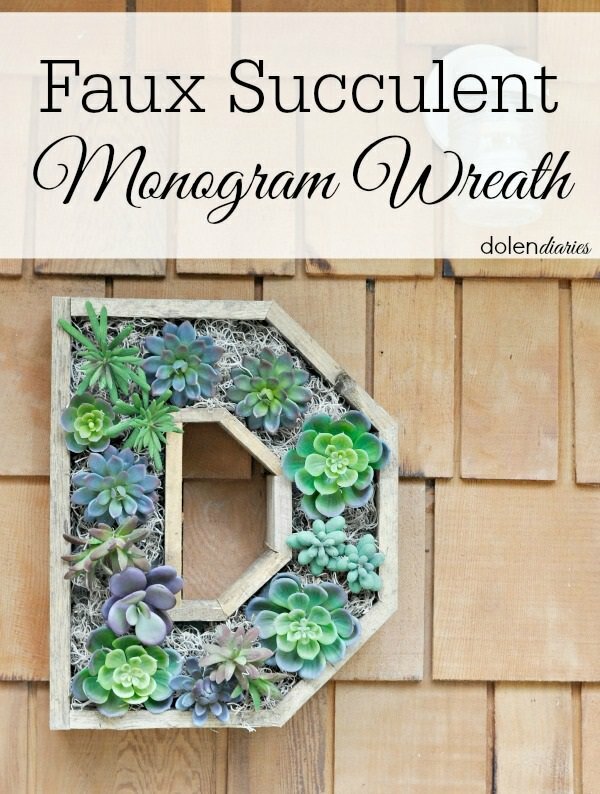 This monogram-shaped succulent garden is sure to act as a conversation starter every single time. Sure, it takes a little effort to make, but with some patience and woodworking skills, the results are satisfying indeed! 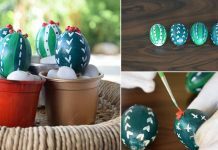 The Crafting Chicks has a tutorial on it! 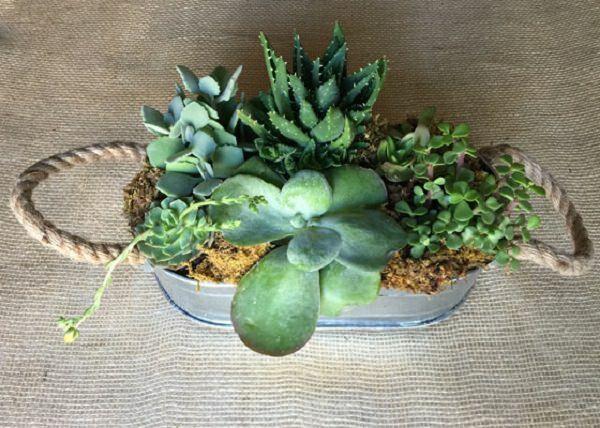 Give a fancy makeover to an old picture frame by transforming it into an interesting planter for your succulents. Click here for the tutorial! 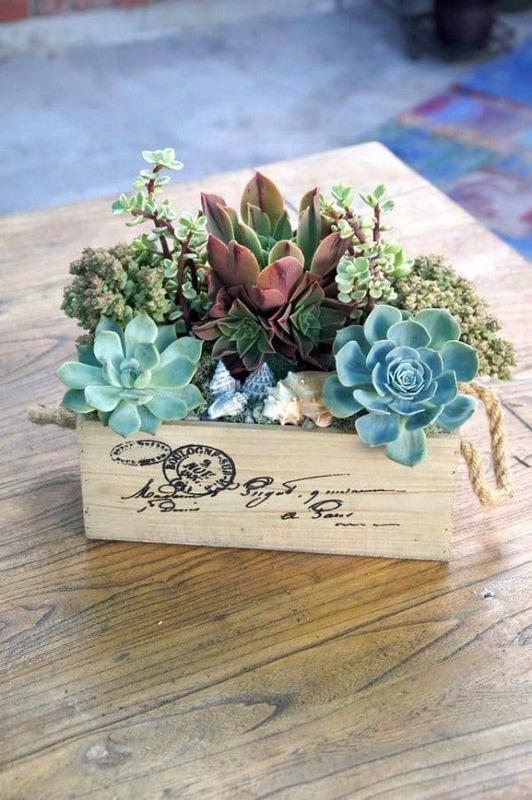 Just take a cheese box or wine crate, or any wooden box you have lying around, fill it up with dirt and plant your succulents. You can decorate with your favorite ambigram or quote for a creative appeal, or simply leave the shabby chic look of wood intact. 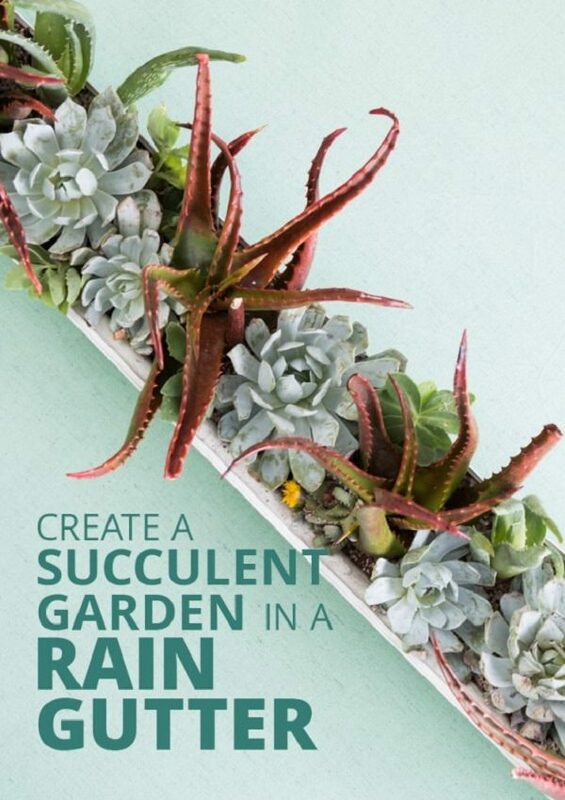 This rain gutter succulent garden is an inexpensive solution to plant a couple of different succulents in a tiny space, helpful if you don’t want to have a bunch of pots cluttering up your place. 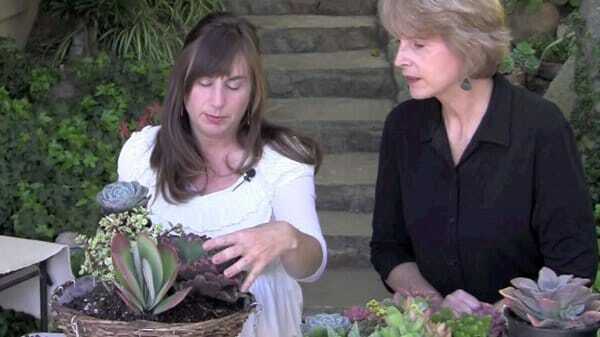 Check out this rain gutter succulent garden tutorial here! 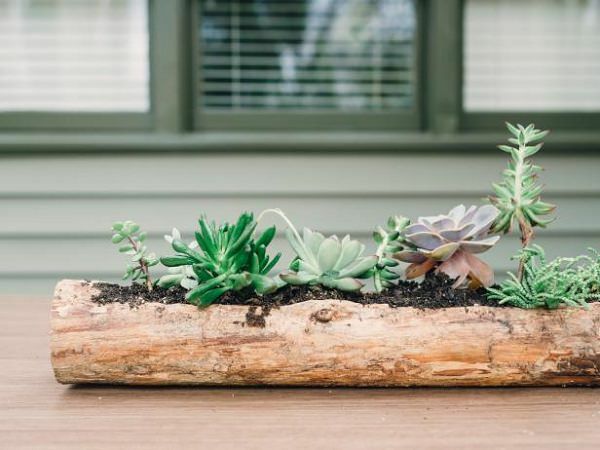 Hollowed out logs can become interesting planters for your succulents. This project is easy to do and doesn’t require any woodworking skills, to begin with. Visit the HGTV to see the DIY post! 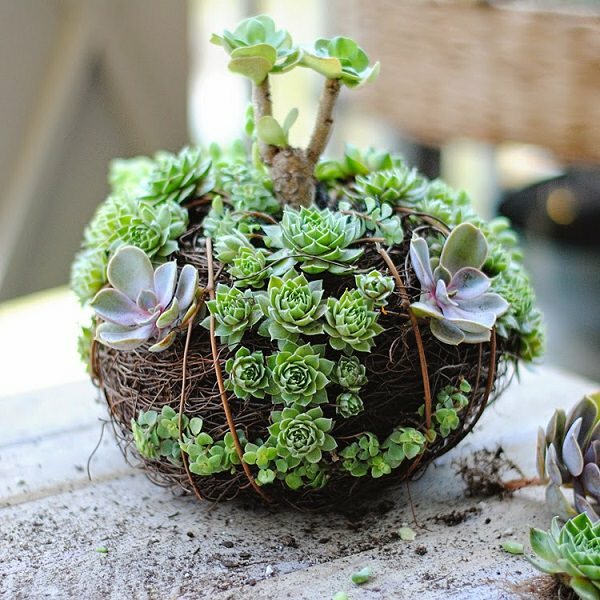 Add some Kokedama magic to your succulent container garden with this beautiful string garden of succulents. The Instructables has an article on this! 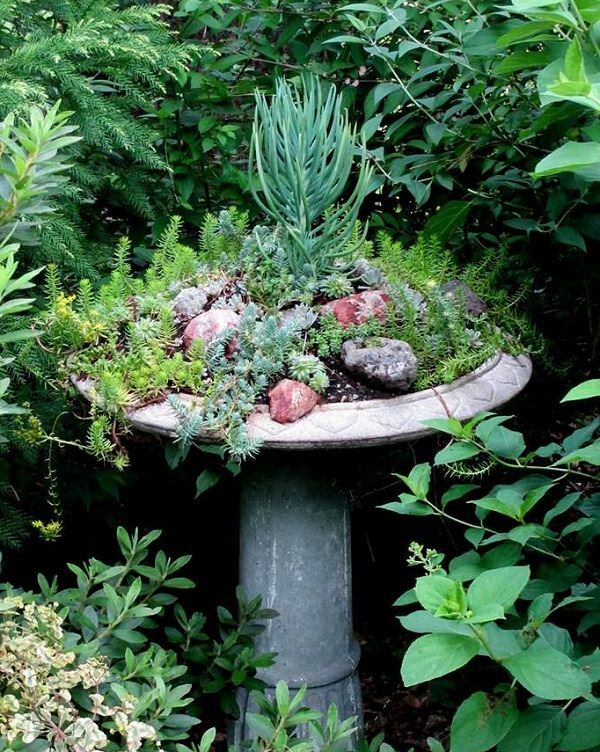 Make your own succulent planter with a worn-out birdbath. The result is a beautiful succulent garden. Here’s the tutorial! 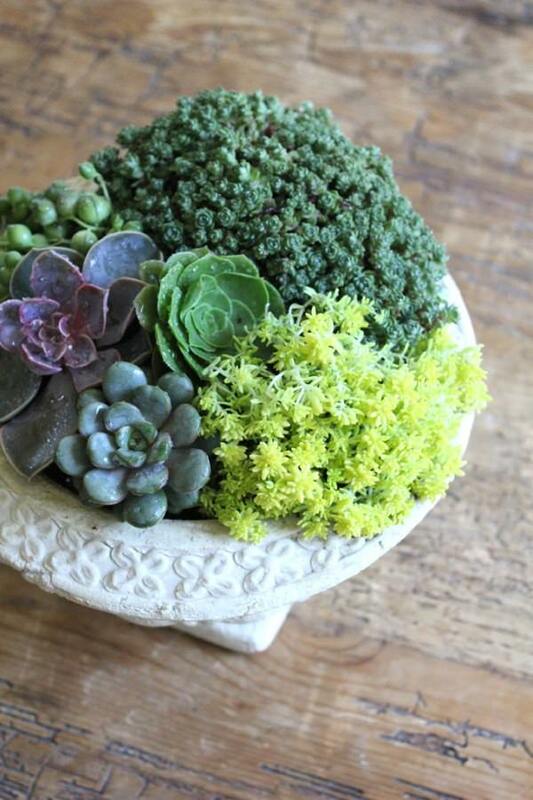 This lovely arrangement of cute little succulents is fascinating to look at. See the video here! 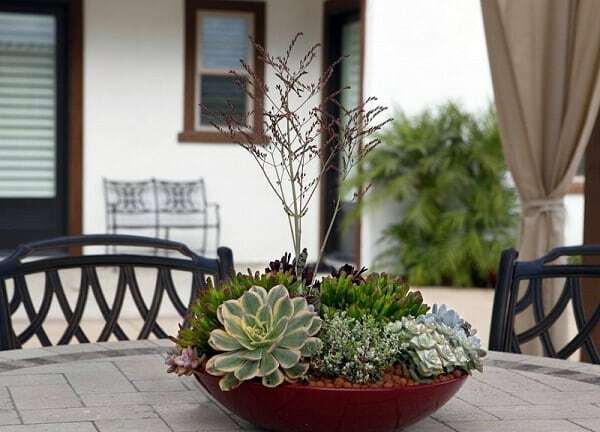 This concrete planter has sufficient space to accommodate a huge mix of succulents for a visual variety, and its portable design makes it easy to move around. Learn more here! 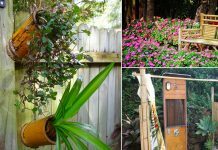 This wall fountain-turned-container garden is a great idea for not only a drought-stricken place but any garden that receives ample amount of sunlight round the year. The more of it is here! Lightweight and rustic, hypertufa planters are just the right type of containers for kick-starting your succulent container garden project, if you want something unique. The Empress of Dirt has an informative tutorial on it! Do you have a chair that’s too old, unused? 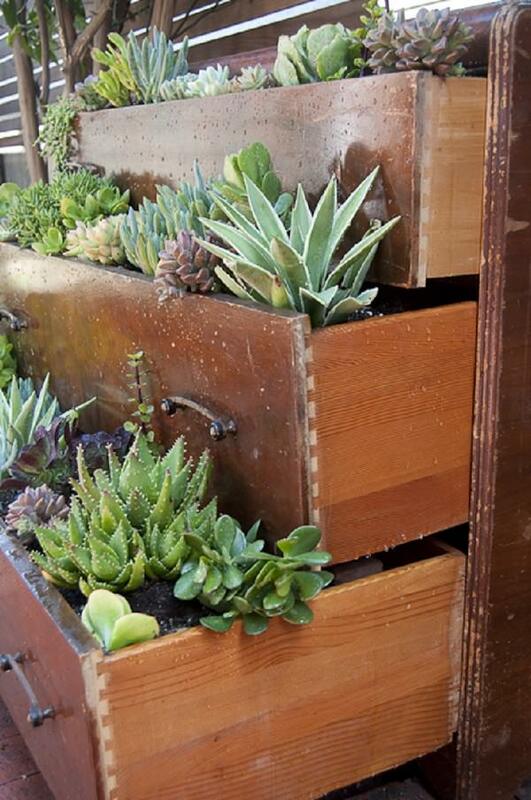 Then consider adding a fresh coat of paint and turning it into a planter for your succulents. 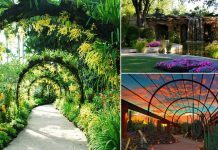 It’s sure to act as a wonderful focal point in your garden. Visit Garden Therapy to see the DIY post! 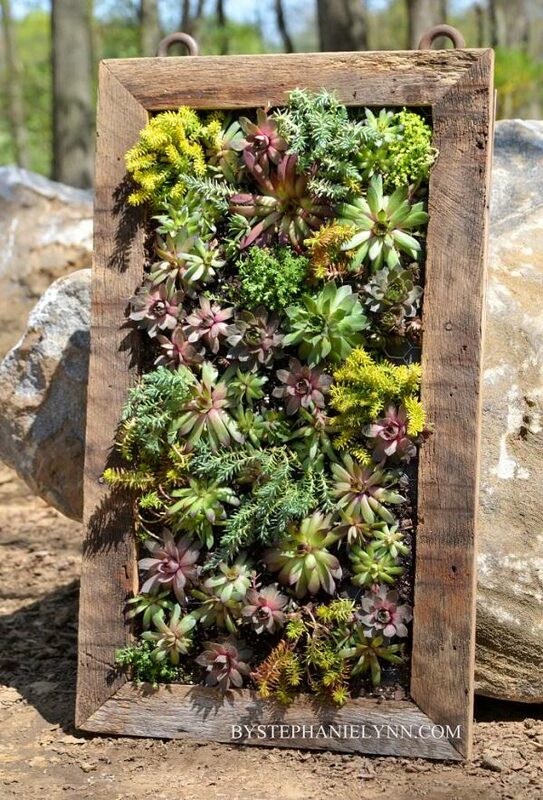 Here’s a fun way to plant all your desired succulents in one space. Choose Sedums and other trailing plants for a striking look. Here’s the how-to video! 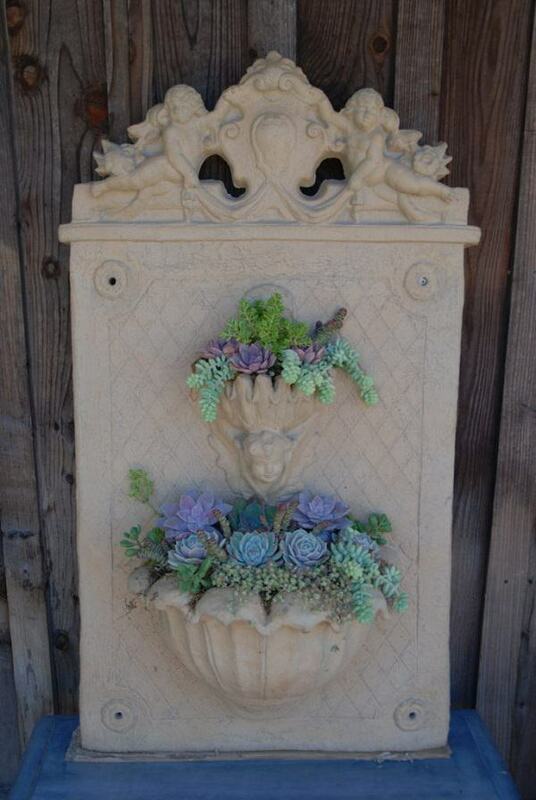 This gorgeous and spacious wall planter is a unique way to showcase those beautiful and plump succulents. Click here to see the tutorial! If you think about it, dressers are really great choices for holding plants. 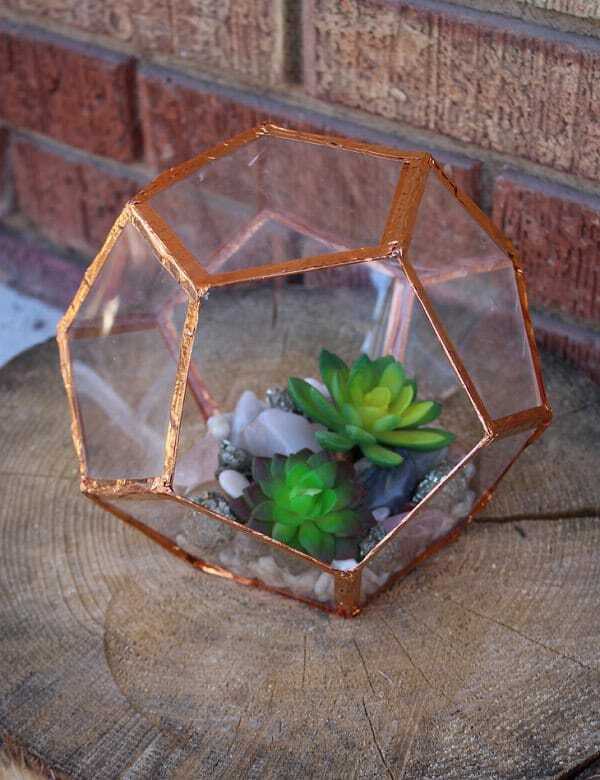 They are roomy, vintage-looking and come with a tiered structure that is sure to create the look of a unique succulent container garden. 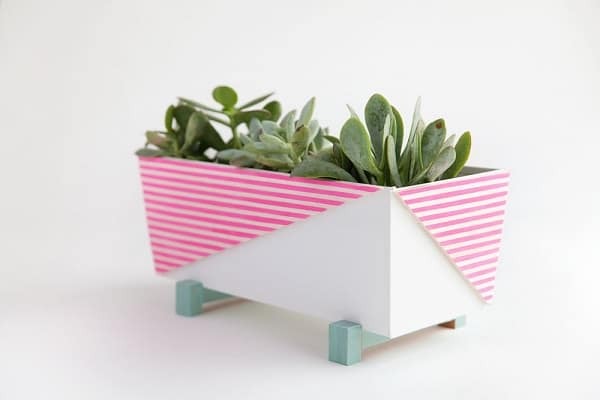 This planter is cheap and a wonderful DIY project if you’ve some spare time. And it’s made from CD cases, unbelievable. The more of it is here! Making this succulent is not very difficult, and with a few supplies and following the step by step tutorial given here, you can do this! 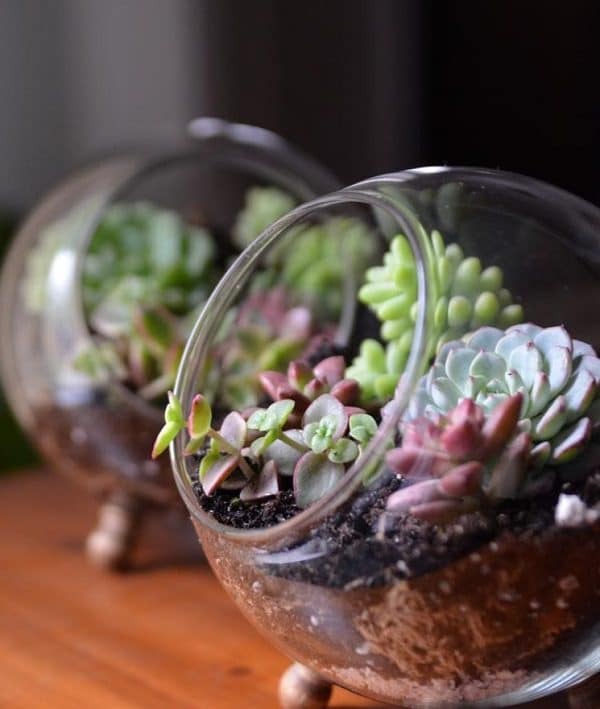 Glass globe terrariums can provide a nice home for those lovely, low-maintenance succulents to thrive and grow. The how-to article is available here! 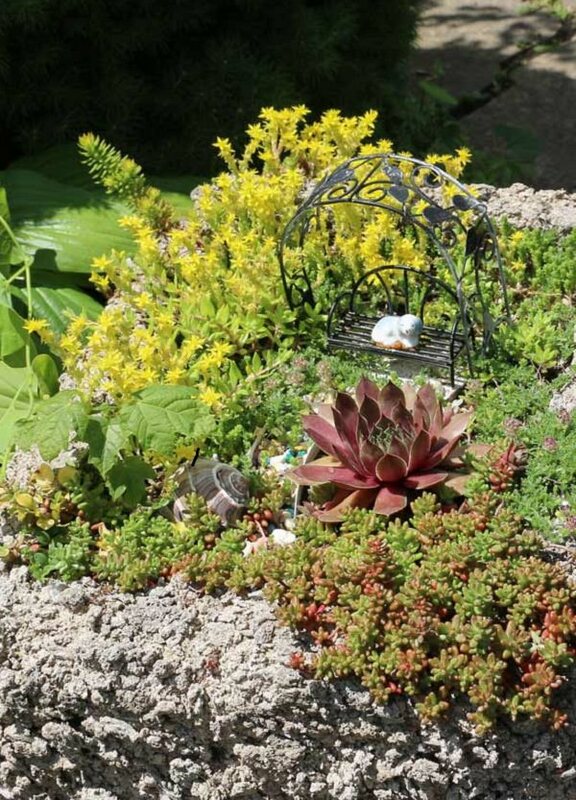 Create an exquisite succulent fairy garden out of broken pots. See the tutorial here! 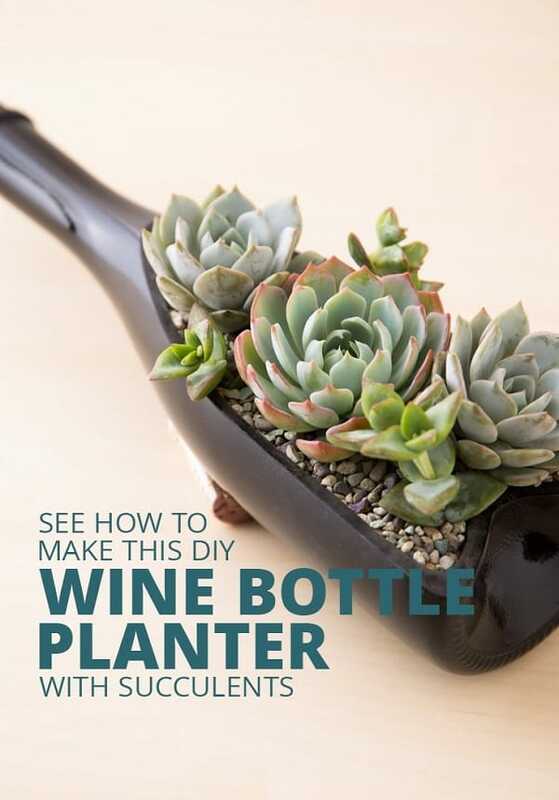 Empty wine bottles destined to end up somewhere they should be, but you can make planters for your favorite succulents using them following the steps in the DIY article available here! 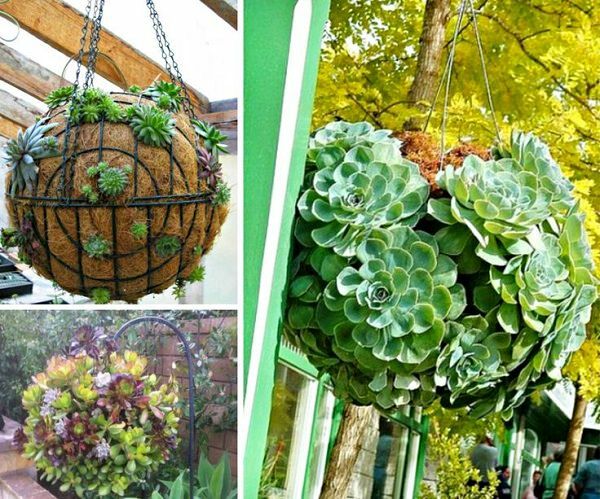 This bunch of hanging baskets with a pretty assortment of succulents is undoubtedly one of the coolest succulent container garden ideas out there. Just don’t forget to tuck in some trailing plants. Watch the how-to video here! 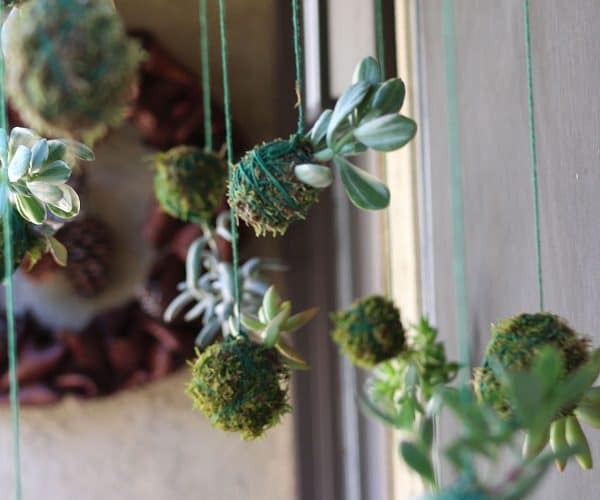 This artsy ball with lush succulents growing out of it can be a nice addition to your front door, porch, balcony or the entryway. It doesn’t take too much of your time and skills to assemble it and doesn’t need much regarding maintenance. Watch the DIY video here!